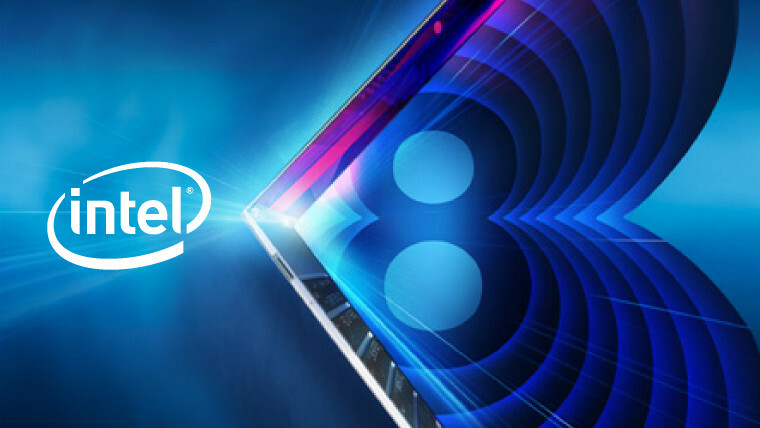 The first specifications for Intel’s 8th generation Whiskey Lake-U processors have leaked out. The lineup of mobile processors which will succeed Kaby Lake-R is going to be based on the 14nm++ process and deliver improved clock speeds while retaining the same architecture as Kaby Lake series. The processors were revealed by Tum Apisak, over on his twitter feed, a few days ago. The CPUs include the Core i7-8565U (succeeding the Core i7-8550U) and the Core i5-8265U (succeeding the Core i5-8250U). Both of these chips are based on the 14nm++ process node and feature the same Kaby Lake architecture that is found on the previous Kaby Lake-R chips for mobility platforms. 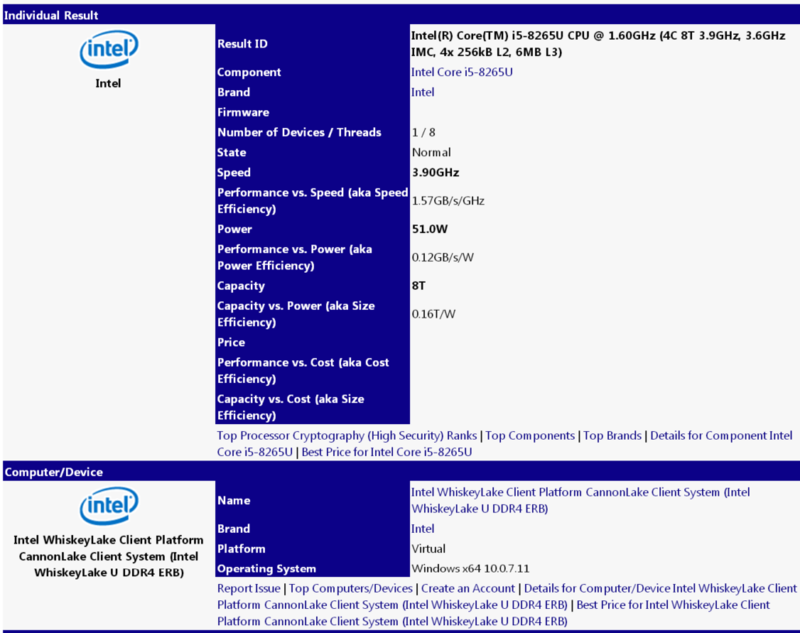 The difference is that Intel managed to squeeze a bit more clock speeds out of these chips due to a further optimized process design and power management changes, otherwise, you won’t see a big difference between the underlying specs on both families. The first part, the Core i7-8565U is a 4 core and 8 thread part which comes with 8 MB of L3 cache, in a 15W package. The chip features a clock speed of 1.8 GHz base and 4.5 GHz boost. We are looking at a 500 MHz bump in the boost clocks compared to the predecessor while retaining the same base frequency. There’s also the Intel UHD 620 graphics chip which will be coupled alongside the processor with a clock rate around 1150 MHz. 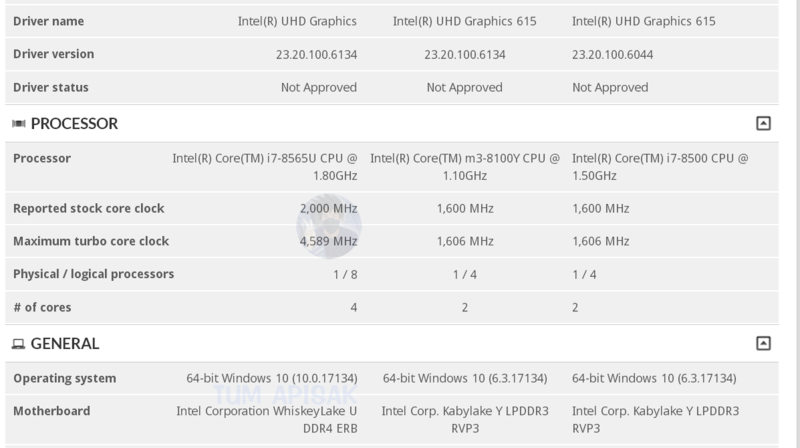 The Core i7 model shows up with an additional +200 MHz base and +100 MHz boost frequency in the 3DMark listing which looks interesting and could reveal that the chip may boost further based on available TDP and temperature headroom. The Core i5-8265U is another 4 core, 8 thread part which comes in a 15W package but features 6 MB of L3 cache. The chip is clocked at a base frequency of 1.6 GHz and a boost frequency of 3.9 GHz. Here, we are again looking at a 500 MHz jump compared to its predecessor, the i5-8250U. In terms of GPU, we are expecting the same Intel UHD 620 chipset with a clock rate around 1.1 GHz. 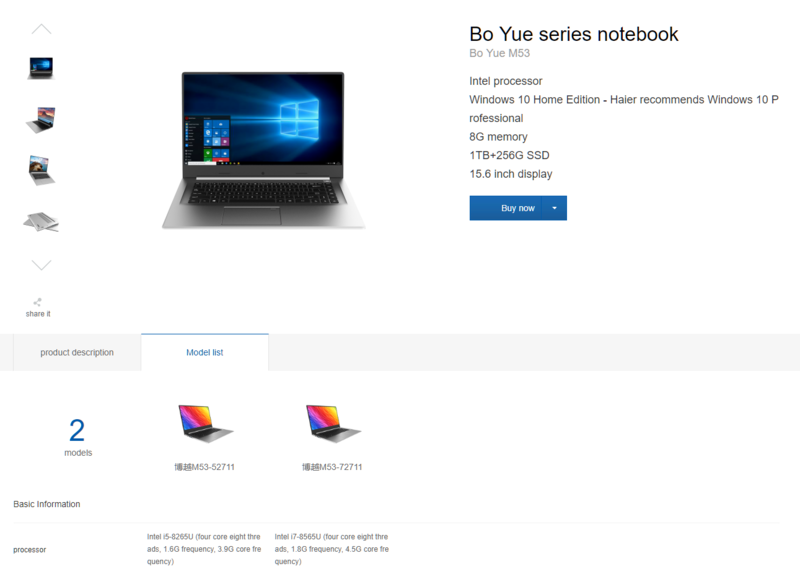 Both CPUs have been listed by Haier for the Bo Yue series notebooks. There are no prices for these laptops but they feature 8 GB of DDR4-2400 MHz system ram, 1 TB HDD alongside a 256 GB SSD, a 1920 x 1080 15.6″ IPS display (with a 16:9 ratio panel), and an NVIDIA MX150 dedicated graphics chip which is coupled with 2 GB of GDDR5 memory. Since these processors are being listed by OEMs, we can expect a launch really soon. The CPUs are still based on current generation architecture and process node which would see little interest in the consumer market and with a delayed 10nm process node, there’s little Intel could do to avert the situation. What are your thoughts of the 14nm++ Whiskey Lake-U processors?